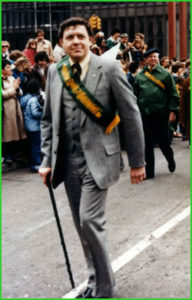 Daniel O’Connell died in November 1986, while serving as Michigan State President of the AOH. He had been a Hibernian for over 30 years and lived the AOH motto of Friendship, Unity, and Christian Charity every day of his life. Upon his death the LAOH Rose Kennedy Division, established the Daniel O’Connell Memorial Scholarship to be awarded to the Queen of the Court of St. Brigid and her Court. Dan would be pleased to know that his name is attached to this award. He always believed that education was the stepping stone to success. For example, last year the 1st Place Winner received $1000.00, 2nd Place Winner $800.00 and 3rd Place Winner $600.00. Mary Gibbons was a charter member of the Rose Kennedy Division. From the very beginning, she helped establish the foundation that the division, proudly stands upon. She received her major degrees in 1972. Mary was not only loved by Hibernians, but the Irish community at large. 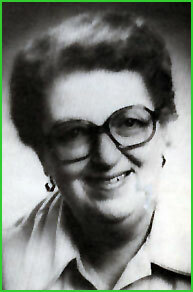 She was a supporter of the Pallottine Fathers and was active in promoting Right to Life. She was a friend to everyone she met. Mary Gibbons was deeply devoted to the Hibernians, both ladies and men and to the AOH Building Corporation. She was an outstanding example of what a Hibernian should be. She truly lived the motto of Friendship, Unity, and Christian Charity. In her memory, the 1st place winner will receive a $100.00 cash award from the LAOH Rose Kennedy Division.